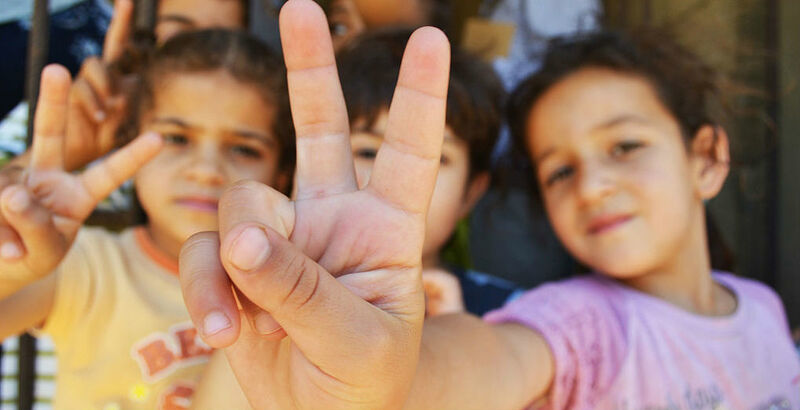 On July 20, Uruguayan Foreign Minister Rodolfo Nin Novoa announced that the country would welcome 72 more Syrian refugees by the end of 2015 as a part of a previously stalled plan to accept displaced persons from the war-torn region. Nin appealed to the “sensibility and solidarity of Uruguayans to understand the drama being lived by these [Syrian] families—a true hell on Earth.” His announcement officially overrode previous concerns over the merits of the refugee program. Despite a comprehensive assimilation plan, the transition has proven difficult for the 42 Syrians who arrived in October 2014. Furthermore, the country’s Human Rights Secretariat, Javier Miranda, publically expressed the budgetary concerns of welcoming additional refugees to the country. Nonetheless, the refusal of “humanitarian default” for Uruguay is an admirable sign of conscious foreign policy that will hopefully influence other countries to better address the Syrian crisis in a more responsible manner. An emphasis on active intervention is emblematic of the tiny country’s history at the forefront of human rights. Uruguay was among the first countries to sign the historic 1946 United Nations Declaration on Human Rights. Most notably, Uruguay was the first country to recognize the Armenian Genocide, 20 years before any other country did the same. PanAm Post writer Priscilla Guinovart says that it is Uruguay’s “multiculturalism that allowed [it] to become one of the region’s most liberal countries.” It is the lack of a “single Uruguayan culture” that makes the country a model experiment for humanitarian outreach in an uncertain geopolitical climate. In April 2014, Mujica announced his initial plan to welcome Syrian refugees into the country. The later-modified plan welcomed 42 Syrians and followed a comprehensive path: The first group was moved into the Marist Catholic Retreat Center outside of Montevideo where they were to take Spanish classes funded through government welfare programs. Once “acclimated,” the refugee groups are to be put on a path to citizenship. Although Uruguay is not the only country to accept Syrian refugees in the region (notably, Brazil and Argentina have accepted large numbers), Human Rights Secretariat Miranda hopes the plan will have a “contagion effect”—one that will result in more holistic and sustainable policies towards refugees. International applause aside, public support, compounded by the not-so-perfect results of Mujica’s assimilation plan, renders Uruguay’s humanitarian gesture more controversial than one would expect. Even before the arrival of the first 42 refugees, only 18 percent of Uruguayans supported the policy, according to a poll by the consulting firm Cifra. Arguments range from purely economical qualms to socio-cultural differences, but all pose important questions over the necessity of such a comprehensive refugee policy. Nonetheless, the decision to welcome war-torn refugees is undoubtedly the right approach in addressing the Syrian conflict. The group of 42 Syrians that came last year has provided an experiment testing the viability of Mujica’s assimilation plan. Miranda admitted to Uruguayan newspaper El Observador that the “coexistent experience” for Syrian refugees has not been stellar. The transition process is one of the primary critiques of the idealistic assimilation policy: Learning Spanish, as well as resuming work, has proven more challenging than expected. In an April interview with local radio AM 1410, Mujica—now out of office—complained that Syria “didn’t send me a single farm worker,” a sign that the return to a semblance of “normalcy” for the refugees has yet to occur. More notably, the small but high profile group of Syrian refugees has been subject to particular controversy over apparent domestic violence allegations. A February exposé in the El Observador revealed accusations of violence in the Catholic retreat center committed by Syrian patriarchs. Though no “concrete” evidence has resulted in prosecution, the group of 72 that was supposed to arrive this past February remains in Lebanon. After the allegations of abuse, Mujica urged the Uruguayan government to prohibit Syrian males from entering the country. Amidst controversies over abuse allegations and transitional difficulties in March, Mujica’s successor, Tabaré Vázquez, said that a more “profound analysis” was needed to assess the merits of the refugee program, thereby halting the movement of further Syrian refugees into Uruguay. This is not to mention the budgetary concerns that form part of political criticisms of the assimilation program. The state has requested between $35,000 to $70,000 USD each month to distribute proportionately to the families, a significant cost for a program with few known successes. The costs must be taken into account given that neighboring Argentina and Brazil face far-reaching economic turmoil with significant effects on employment and industry in Uruguay. Politicians, Miranda included, admit that budgetary concerns must be recognized when assessing the refugee program’s legitimacy. However, on July 28, President Vázquez announced a $12 billion USD investment project composed of 66 percent public spending, proving that humanitarian aid need not be mutually exclusive to investment programs. Amidst challenges and controversies, Uruguay must remember not only its exemplary role in human rights, but also its own legacy of immigration throughout history. The 1973-1985 dictatorship, along with the economic crisis of 2003, led to mass emigration that the country needs to take into account. The decision to accept more refugees is without a doubt the moral choice, and furthermore, a nuanced policy that seeks not only initial safety, but also a plan for future stability could be a more appropriate policy. Featured Photo: Syrian refugee children at a half-built apartment block near Reyfoun in Lebanon, close to the border with Syria, give the peace sign. From: Trocaire.